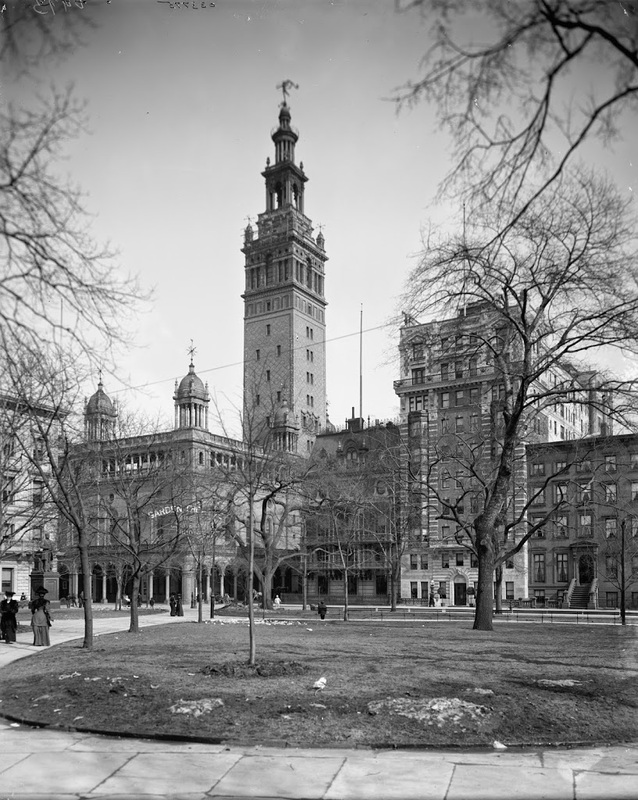 The second Madison Square Garden, between 1900 and 1910. Image courtesy of the Library of Congress, Detroit Publishing Company Collection. Once upon a time, Madison Square Garden was actually located at Madison Square. The building in the first photo was actually the second Madison Square Garden – the first was built in 1879 as an open-air arena, and was replaced in 1890 by the one in the photo. This one lasted until 1925, and was used for a variety of concerts, circuses, sporting events, and even the 1924 Democratic National Convention. The Democrats lost the presidential election that year to Calvin Coolidge, and the building didn’t fare much better – it closed in 1925 and was demolished. Its replacement, the New York Life Building, which was completed in 1928 and still stands today. 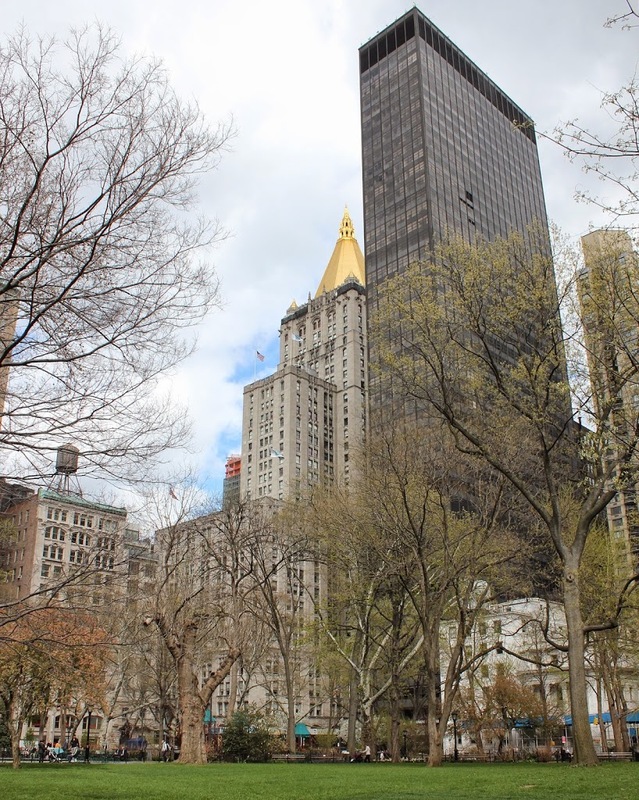 As far as I can tell, nothing in the first photo still exists today, except for Madison Square itself.